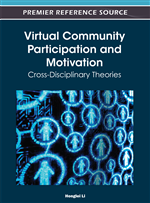 The chapter investigates an actionable model of virtual participation for learning communities, in the context of holistic student development in college education. The framework of analysis is based on scenario-planning, accommodating the dynamics of strategic design, decision making, and prototyping of various organizational scenarios of learning in communities. This conceptualization is extensible in cyberspace in today’s World Wide Web, especially promising for today’s universities, under the mission of ensuring quality student learning. The premise in this exploration is situated in the design of living and learning programs in residential colleges that must integrate the genuine concerns of holistic development for both teachers and students. What is often argued in this mesh of organizational design is how exactly to connect members of the communities, albeit the very behavior of hoarding personal presence (or knowledge) is what makes people feel secured and successful. The virtual participation model responds to this need by emphasizing the presence of an appreciative form of community sharing that could be facilitated through some innovative electronic channels designed into the daily living and learning experiences. However, the task of identifying what to watch for in building an online community of learning (CoL) is not at all straightforward. The authors’ investigation provides a basis to think of the generative potential of appreciative processes for interaction among different CoLs. The emergent challenge is to de-marginalize the concept of appreciative sharing among CoL members, expositing on the effective meaning behind the creation of such an environment through which purposeful individual or organizational learning could be enabled with the elaboration of suitable information technologies. The context of holistic student development (HSD) could be summarized in the Socratic dictum that “the unexamined life is not worth living.” It is convinced an effective and ideal college education is one that centers on HSD, including the search for meaning and purpose in life. In launching any HSD programs today, many a university has included important concerns of who a student is and becomes, as well as what a student does during college (Barkley, 2010; Braskamp, Trautvetter, & Ward, 2006). Universities guide students to become what the college thinks and believes is a desired end. They educate and work with students on purpose. In particular, colleges develop students in ways that recognize and build on their purpose in life, intellectually and morally. They intentionally create environments that center on purpose, helping students reflect on such questions as – Who am I? What are my goals in life? How do I want to make a difference with my life? Addressing questions such as a life good to live, is an important part of holistic student development across many campuses today. Tellingly, endeavoring to develop our full potential as human beings is certainly not only about financial achievement and professional success, but also living a life that is fulfilling and meaningful. Indeed, the HSD approach presses students to acquire knowledge and to develop a life of purpose; it challenges students to obtain and improve competencies and to know themselves; it also encourages students to engage the world and to probe the relevance and power of personal commitments, perspectives, and even their shortcomings. The question is how best to facilitate such student development. This chapter is aimed to describe an emergent model of virtual participation to help foster student success in college education, addressing such questions as: What does college education desire students to become? What skills and patterns of behavior do students need to learn and develop? How do members of the campus community – faculty, staff, and administrators – contribute to the development of students by who they are as well as what they do? It is convinced that the answer lies in the cultivation of a virtual community of learning (CoL) comprising faculty dedicating themselves more fully to the totality of student life, colleges making an investment in students as whole beings, and students themselves becoming personally invested in their college experience. In particular, this chapter renders recommendations of how HSD could be enhanced if we could avail of the appropriate Internet technologies to support organizing online various student services, to be incrementally experienced throughout their college years of living and learning as members of the campus community.